Let me count the ways I love pumpkin, pumpkin spice, and all things related. It’s programmed in my genes, and not so quietly emerges with the return of turtlenecks and decorative gourd season. 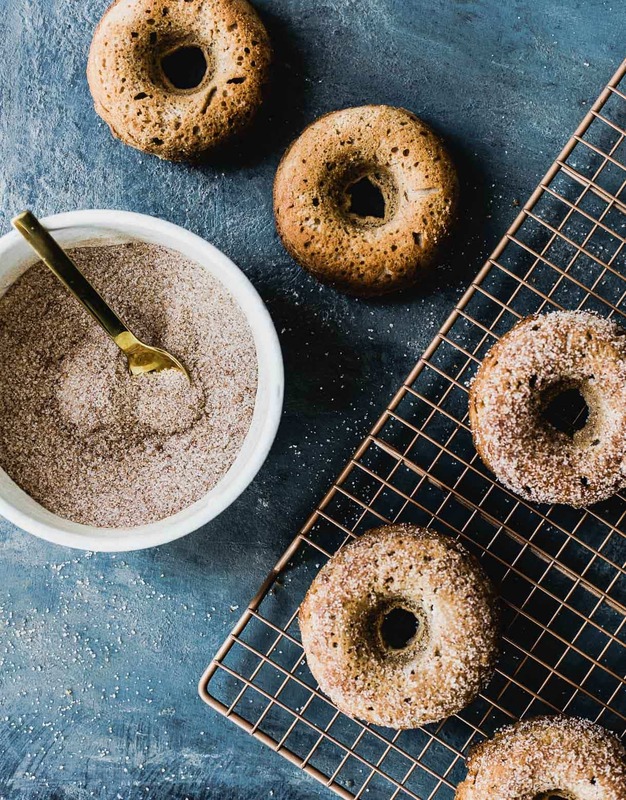 So what makes this gluten-free donut recipe mimic a regular baked donut? 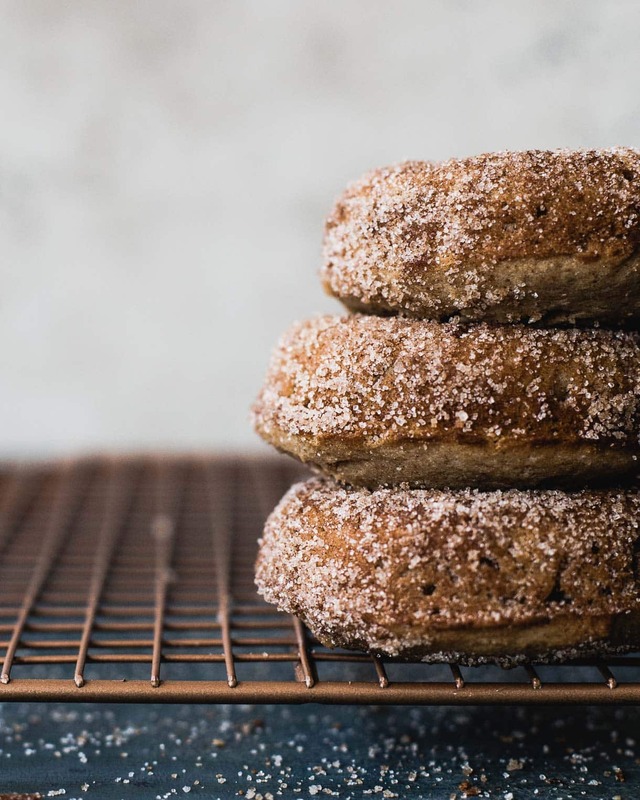 I developed these donuts, using the FauxMartha’s recipe for vanilla bean baked donuts as a starting point. To make them gluten-free, I tried several different flour combinations, sweeteners, and oven temperatures. Sweet rice flour is magical, and should be a staple in your kitchen if you’re gluten-free. This naturally gluten-free flour is not sweet, like it sounds, but instead is ground from short grain white rice, also known as sticky rice. Sweet rice is a sticky and higher starch rice, which works great in gluten free baking because it helps bind things together. It gives baked good the “stretch” and softness of what regular gluten typically does. I combined the sweet rice flour with teff flour (has a natural malty flavor that works so well in a donut! ), and a small amount of millet flour to balance things out. These two flours provide a good foundation and structure. 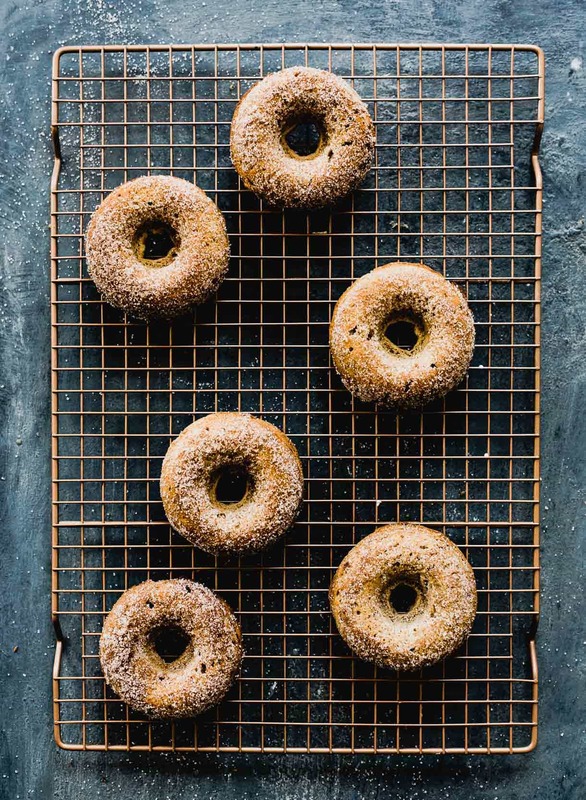 From there, I found that a lower oven temperature than what you’d bake a regular donut at helped keep them from over-browning and becoming too dense. Don’t try to cut out any of the sugar or honey in these – they aren’t cloyingly sweet as many American donuts are. They’re just right, in my humble opinion. 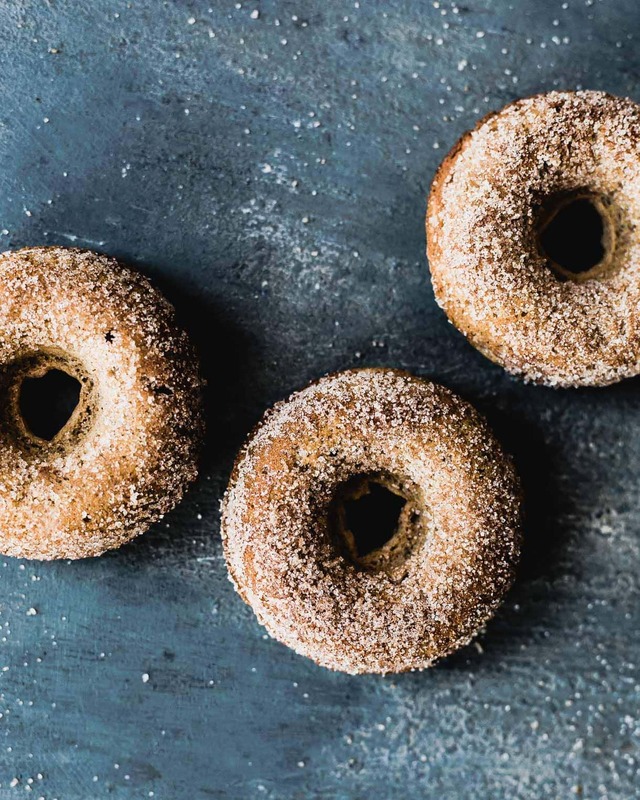 This recipe makes six donuts, which is helpful when you’re a house of two like Brian and I. And really great news — they’re still good on day 2, with little loss in texture, and the flavors even deepen a bit. If there’s one way you decide to embrace pumpkin spice this fall, make it be with these! Mix flours, sugar, salt, pumpkin pie spice, baking powder in a bowl. Set aside. Whisk together milk and vinegar. Let sit for 5 minutes. Whisk in egg and vanilla, maple syrup, then melted (and cooled) butter. Pour wet ingredients into dry and stir until no flour streaks are left. Grease a 6 count donut pan, then spoon in batter. It will be thicker than normal batter. Level off with a spoon. Bake for 11 minutes at 350 degrees, or until a toothpick comes out clean. Remove each from pan once cooled. Running a knife around the edges is helpful to get them out gently. Brush melted butter onto donut, then dip into the sugar mixed with cinnamon. There really is something special about the fall, isn’t there Amanda? The cool nip in the air, the colorful leaves. . .the smells. . .and of course pumpkin everything!! I can see why you have already devoured batch after batch of these beauties. Oh, and since it is only the hubby & I (and as fitness fanatics we try to limit “treats”), loving that this recipe makes use enough to satisfy any naughty cravings. Cake donuts and other baked donuts literally get SO MUCH negative rap because they’re usually too dense or not as fluffy as yeast donuts. However, if cake donuts are baked perfectly, they are phenomenal! 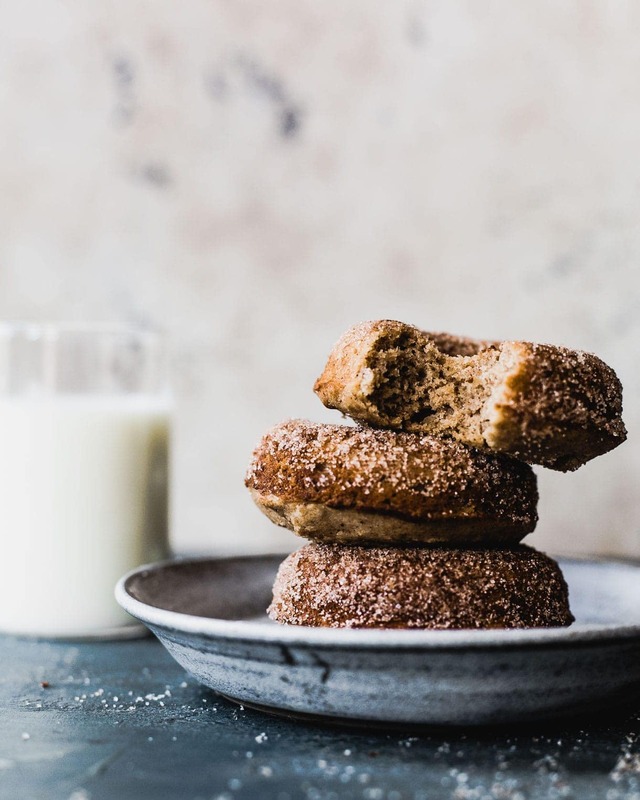 These pumpkin spiced gluten free donuts look spectacular–so warming, spicy, comforting, and aromatic. I love the sugary topping on each one! These look so yummy, great with my Latte in the morning!